We are your Snacko, Mess Officer, and Booster Club continuity book. Whether you need patches, challenge coins, t-shirts or zap stickers; you can count on Aviator Gear to provide the very best quality with responsive customer service. We have the resources, knowledge, and experience to make the job easier for you. Well, Ok, maybe you think that the Snacko or mess officer is a tediously painful job that is your penance for being the FNG. Yes, it’s a tough job, but if done well, you will get all the credit. We are here to help you take care of your squadron, and make you look good! When your time is done, we will make the changeover a seamless transition. During your tour as the squadron Snacko, Mess Officer, or Booster Club buyer; you will be expected to maintain a steady supply of patches, challenge coins, t-shirts, zaps, mugs, etc. 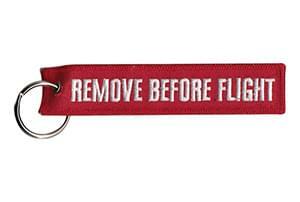 Woe to the person who runs out of squadron patches when the Commander gives away his last one at the Officer’s Club! Here are some tips to manage your inventory, forecast requirements, and create new product designs. The first thing is get a good handoff from the previous Snacko. Then Contact Us for a tour of the products we currently make for your squadron or company. Treat the job as a small business. Make smart business decisions, and don’t try to make every person happy, especially if it doesn't make financial sense. Keep an eye on your inventory. A quick scan of your product levels should give you an idea of how soon you will need to reorder. If you give us a heads up, we can start production, and you can pay when we ship. Ask us about the delivery timelines. If you have a going away ceremony in three weeks, we might not be able to square that corner. Forecast out 2-3 months for upcoming TDYs, air shows, and deployments. Contact us for fundraising opportunities and ideas to make the most money for your organization. Leave it to us to keep everything on file for your unit. You can reorder products online, send us an email, or give us a call. The whole process will take just a few minutes and we will make it happen for you. Payments are processed quickly via our secure website payment link, or via a short phone call. Your time is precious, so we will make the ordering process fast, with error-free production, and on-time delivery. You don’t need much for us to get started, so grab some crayons and a pizza box. Basically, whatever you have will be fine. 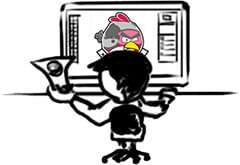 Our amazing graphic artists will work their magic, and bring your design to life. Just snap a quick cell phone photo of your sketch, and email us at info@aviatorgear.com. You can save more than 25% with a group custom model order. Each person can design their own customized and personalized aircraft model with any tail number, any ordnance, and a custom stand. The models will be manufactured and shipped together saving an additional 30% in shipping costs. Each customer will make their own payment online, so the POC does not have to collect money from everyone. 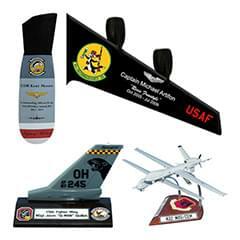 Our customized products are a perfect for squadron going aways and retirements. We will help you create the perfect custom gift, created from scratch just for you. If you don't have all the information, send us what you know and we will guide you through the design process. Rush production is available for an additional charge, but contact us about 3 months early for best pricing. 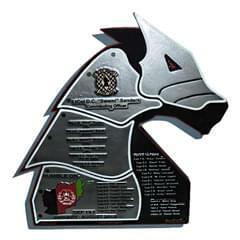 We can create your unit deployment plaque with any design and layout you want. The plaque will be fully customized and personalized and we will create the artwork and mockups free of charge. Our custom deployment plaques are hand-carved and painted from solid mahogany wood to your exact specifications. 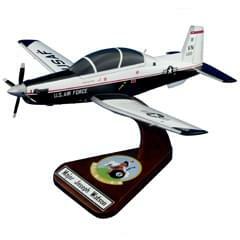 Perfect for your squadron lobby, podiums and conference rooms. Production Timelines: How Long Will It Take?